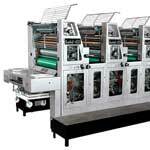 Our Sheetfed Offset Printing Machine is one of the best and is highly demanded by all. We offer a wide range of sheetfed offset printing machine which includes Single Color Sheetfed Offset Printing Machine, Swing Arm Gripper Model Printing Machine, Double Color Offset Printing Machine, and Four Color Offset Printing Machine. Because of our exclusive range we have also become a known exporter and supplier in India of sheetfed offset printing machine. SAHIL Medium Format sheet fed offset printing machines for all the paper sizes upto double demy are offered to the owners of medium and smaller printers as an optimum solution. Why? 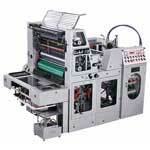 It ensures an extraordinary operating variability that enables to print also in smaller volumes. The long experience in development of sheet offset printing machines of small, medium & big format became a firm design basis for machines of the SAHIL OFFSET PRINTING MACHINES. 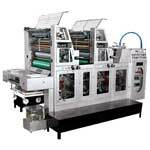 The sheet fed offset machines are delivered in Single, Two and Four colour Versions. Basic functions of the sheet fed offset machine are automatic and their capacity and qualitative parameters meet the high standard as required by an International offset machine buyers. A perfect register and excellent quality of colouring enable offset printing of a wide specter of orders - from the simple ones up to the most complex ones. Economic Operation, Even When Processing Minor Orders : Trends of the current sheet fed offset printing industry are focused on reduction of the average number of offset prints per order and, simultaneously, on reduction of delivery times. 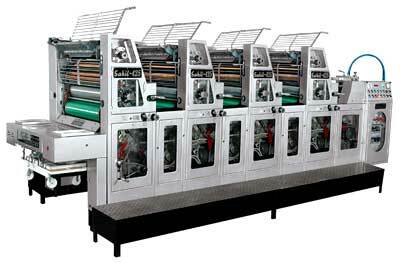 SAHIL sheet fed offset machines with their operational variability will guarantee cost-effective offset printing from small editions. Most Popular Size : Sheet Fed Offset Printing Machines of the Medium format series (Size- 18â�� x 25â��, 18â�� x 28â�� & 20â�� x 30â��) are more and more demanded not only in India but also in other countries. Very Compact Design : Thanks to the compact design of SAHIL mini offset printing machines & sheet fed offset printing machines, a smaller working area is required and thus the effectiveness of your production will increase. High Printing Quality : The high register accuracy and quality of other printing parameters are affected not only by pre-printing preparation, used chemistry, printed material and experience of operators, but also by the machine stability. 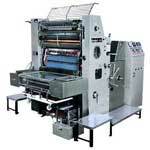 Perfect stability of SAHIL sheet fed offset printing machines are achieved by excellent stiffness of the frame. 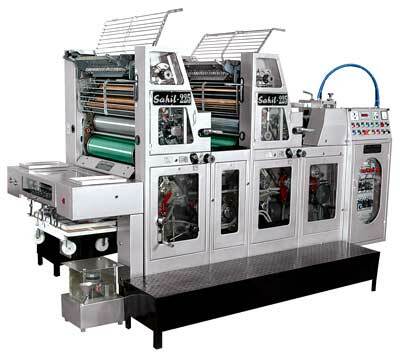 We, Sahil Graphics, based at Ballabgarh, Faridabad, India an established Suppliers & Exporters of superior quality automatic single colour Sheetfed Offset Printing Machine/ color sheetfed offset printing machine / Duplex Paper Printing Machines/ Sheet fed offset Presses from the heart of India. We, SAHIL GRAPHICS, an established Suppliers & Exporters of superior quality Swing Arm Gripper Model Sheet fed offset printing machines / Swing Arm Gripper Sheet fed offset Printing Presses from the heart of India. 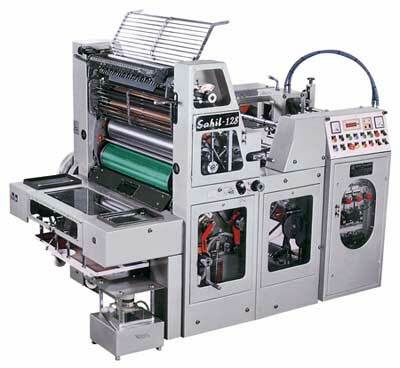 We, SAHIL GRAPHICS, based at Ballabgarh, Faridabad, India an established Suppliers & Exporters of superior quality Automatic Four Colour Sheetfed Offset Printing Machine / Multi colour Sheet fed offset Printing Presses from the heart of India.